CSBA Annual Convention: Register Now! You can Save on the 2014 CSBA Annual Convention if you Register Now! Online Pre-Registration Cut-Off is November 6. Mail no later than October 30. "Celebrating 125 Years of California Beekeeping"
When the California State Beekeeper's Association, founded in 1889, meets November 18-20, in Valencia, CA for its 2014 convention, it will mark a milestone: 125 years of beekeeping. Thus the theme of this year's convention: "Celebrating 125 Years of California Beekeeping." CSBA President, Bill Lewis, has put together a Convention Program that will inform, entertain, and enlighten. Take some time to look it over. 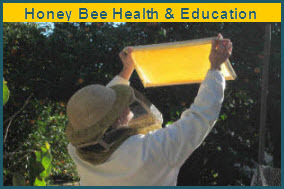 You should be able to find presentations addressing your level of beekeeping, from the beginning backyard hobbyist to the largest commercial beekeeper. The hard part will be making decisions as to which sessions to attend. Learn About Our Excellent Speakers! "We'll hear about things going on in the world of beekeeping on the local, state, and national levels," says Lewis. Our Keynote Speaker is Dr. Thomas Seeley, bee behavior expert from Cornell University. He'll share with us the results of his study, "A Survivor Population of European Honey Bees Living in the Wild in New York State." Read more about A Gathering of Beekeepers. If you're visiting from out of town and have a few more days to spend, there's lot's of Activities in Valencia/Santa Clarita Valley/and Beyond! Each year funds raised at the CSBA convention go to research. Researchers attend the conference and provide updates. They are in "the front lines of the bee health battle," Lewis noted. 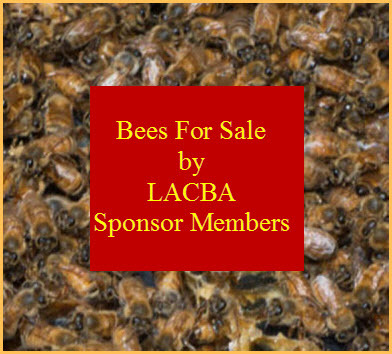 The convention (as well as membership in the California State Beekeeper's Association) is open to all interested persons. CSBA President, Bill Lewis, says: "I hope everybody noticed page 92 of the October 2014 'Bee Culture' magazine. Thanks Kim!" It's going to be a great convention! Don't Miss It!